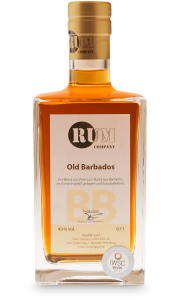 Cocorange Old Rum is perfect for the ones with a sweet tooth. This is a real ladies’ rum because of its pleasing taste of coconut and orange. It has won several prizes and lately a silver medal at German Rum Festival in 2015. Cocorange is a blend of different maturated rum from the Caribbean. The taste is full bodied and round with notes of coconut and orange. Cocorange is heavy and creamy like a cream liquor with a long finish. The reason that it tastes so sweet is because of added oils from coconut and orange peel. The colour is red amber with a tinge of gold in it. Good advices for the Cocorange: Try it to flambé pancakes or on top of ice cream, and you will be surprised. Furthermore, Cocorange is also perfect for cocktails or alone in a tall glass with ice and sparkling water.